Finding out I was pregnant with twins was almost exhilarating. Hearing the words, “we see two sacs, you are having twins” was an out of body moment for me. A smile immediately planted itself on my face for the next three days. I was giddy that after two kids, then a year of infertility, including two early miscarriages, we were expecting twins! 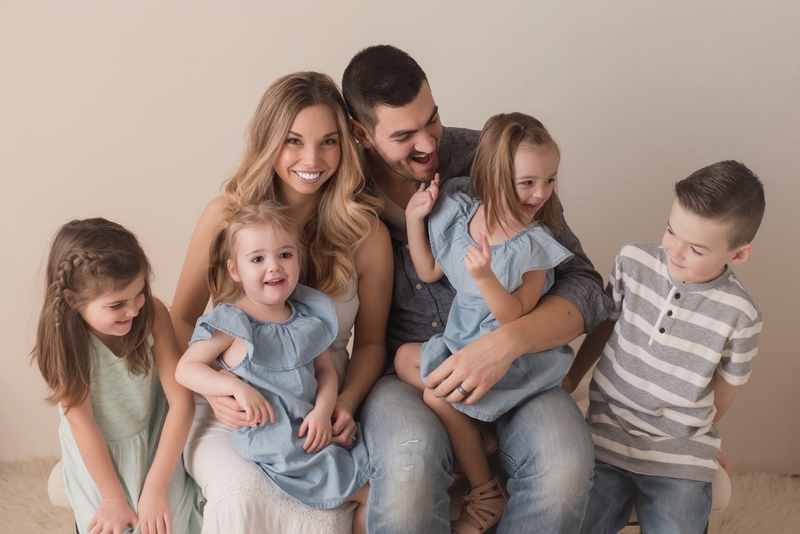 Then we started telling people… Although I received a lot of excited congratulatory hugs, it was very different than when we announced my previous pregnancies. There was an element of shock. People had to take a couple of days to let it sink in. I also heard a lot of “I’m glad it’s you and not me” or “I’m so sorry”. Those comments left me baffled. The news spread like fire before my first trimester was over. Well meaning people were requesting to be my friend on Facebook and suddenly showing an interest in me. People were curious. As the weeks went by the excitement settled. I was feeling very sick and extremely exhausted. It was like an alien life-form was sucking out all of my resources. 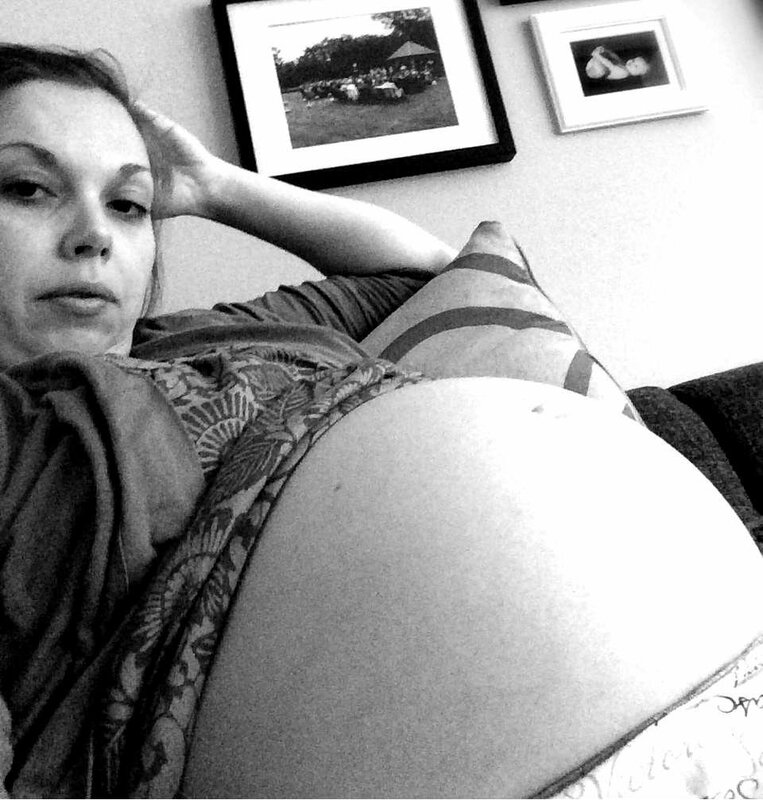 Because I started to get intense Braxton Hicks contractions around the 18 week mark, I wasn’t able to do much. I became really isolated and started to feel depressed. I still had two older children to care for and although I was getting some help from family members, it was a daunting task. I would sob to my husband, Mike. I didn’t know how I was going to make it. By late in my second trimester I was already enormous. My hips were in so much pain all of the time. As I lay there day after day, I would wish I could turn back time and not have gotten pregnant. It sounds horrible but that is how terrible I felt. Although many of my friends were pregnant (with singletons), I felt an extreme loneliness. I would look around at my beaming girlfriends with their average sized bumps still able to live a fairly normal life. I felt like I was frozen in time. Everyone was living around me. I was a prisoner in my own body only to venture out to multiple doctors appointments each week. Every time I would have an ultrasound or non-stress-test done, I felt like my body was this science experiment and I was the bystander. By the time the end drew near I was starting to feel hopeful again. By this point I had spent A LOT of time just being with my girls. Feeling their kicks and fists poking my tummy. Everyday felt like a massive accomplishment and by the time d-day arrived and was way more excited than nervous. When you are carrying multiples there is this expectation from people around you that you are going to going in labor early. Some women do, but I kept going past everyone’s expectations. It kind of messes with your head when you are around the 30 week mark and people act as if you are going to deliver any day. Keep your eye on the prize. Focus on what you are doing. Have someone else go through the development of your babies with you out loud so you can remember how far you have gotten. I would call my mom and we would discuss how far the babies have developed and the milestones I had passed. Make smaller goals. Start with 24 weeks, then 27, 30, 33 and so on. Although it seems so far away, the day will come and it will be magical. Have a friend join you at your appointments. I only started doing this near the very end of my pregnancy because I wasn’t able to drive anymore. Have someone there to keep you company and laugh with you makes the experience much more enjoyable and a little less scary. Join an online multiples group. This is also something I didn’t do until the end of my pregnancy and I wish I had done it so much earlier. Find a Facebook group of moms to be who are expecting around the same time as you. Chances are these ladies will be your life line. Hang in there. Because the prize is so sweet and you will always look back at your multiples pregnancy as one of the most incredible accomplishments of your life! Don’t forget to LIKE Nesting Story on Facebook and FOLLOW Nesting Story on Instagram, Twitter and Pinterest. Thank you for so honestly sharing that! After years of miscarriages and fertility treatment I feel very nervous but hugely excited!! Anyway keep your awesome posts coming!! I have 4 year old twin girls and experienced some of the same pregnancy issues as you like braxton hicks starting at 18 weeks and really bad hip pain but I did make it past 37 weeks. Thank you so much for writing this piece! I am 24 weeks along with b/g twins and feel like after a day of work my body is done. Getting my kids to fed, bathed, and to bed feels like running a marathon. I’ve had a lot of people expect me to deliver any day and once I tell them I’m having the twins, their reactions range from you are going to have your hands full to thanking god it’s not them. I really wish I heard more positive reactions. Do you have any tips for gaining more energy or just going through the day without pain? I’m wearing a back brace but I look about 8 months along and am just struggling with aches in my back. Great post. No one seemed to really understand I didn’t feel up to prenatal yoga or a walk around the block. And everyone thought I would go early and it did scare me! One of the most hurtful things someone said was “that’s the worst news I’ve ever heard”. Seriously?? I’m beaming with joy and that’s what you say?? I have really connected with another mom of twins, our girls are 11 days apart and we were each others cheer leaders. Texting everyday and congratulating each other each week we made it to. She was one of the first ppl I texted after my water broke too. Thank you so much for your post and your website / blog. I’m pregnant with twins after four cycles of fertility treatments. My husband and I are thrilled and beyond ecstatic. However, there are days and occasions that are really a struggle for me due to my enormous size so early. I’ve been having a lot of back pain and upper uterus pain. There are days that all I do is count down until delivery. I’m not enjoying this time as much as I should because of my discomfort. Thank you for all you posts. It helps me so much to know that what I’m feeling is “normal” for a twin pregnancy (of course I’m the only person among our friends having twins ☺️). You are a pregnant-life saver. 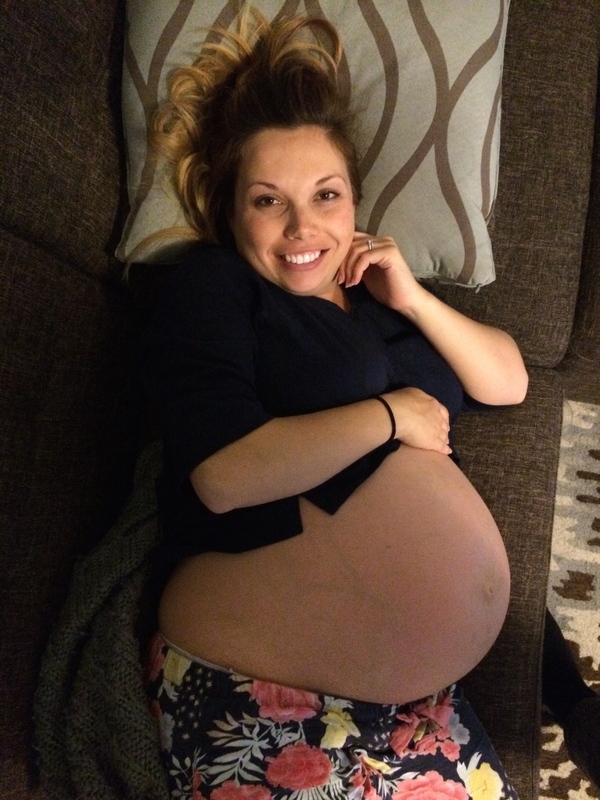 I’m just starting my 6th month pregnant with twins– our first pregnancy thanks to the help of fertility treatments. My husband and I actually prayed for twins and are so happy! Our close friends and family have been hugely supportive, but I have already had enough off-hand comments from acquaintances at this point that my tolerance is running short… One woman that my attended my baby shower this past weekend actually told me that her best parenting advice was “don’t have kids!” I know that having twins (or kids in general) won’t always be a walk in the park, but every day that I have these little ones growing and healthy inside of me, no matter my discomfort, is better than any of the days I spent during the emotional roller coaster of infertility and wondering if we’d ever be able to have a family. Thank you for sharing your experience and your coping tips!